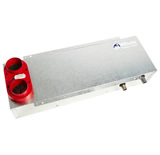 The easy way to control your living environment. 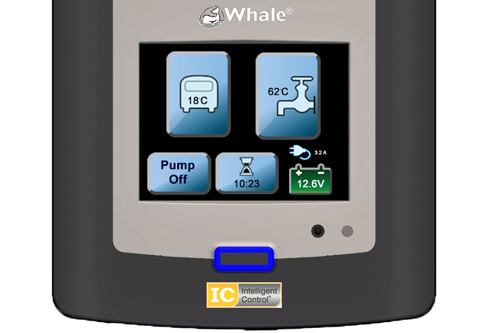 For advice on using your i Van control panel, contact us on: tel: 0845 217 2933 email: ivan@whalepumps.com or view our video today for a step by step guide of the i Van's easy to use features. How does Whale i Van work? The intuitive touchscreen control panel communicates wirelessly with Whale Water, Space Heaters and Pump Control, creating your ideal living environment with ease. It simply guides you through setting your water heating and air temperature controls, and also allows you to set automatic timers (up to 3 per day) for each unit individually. 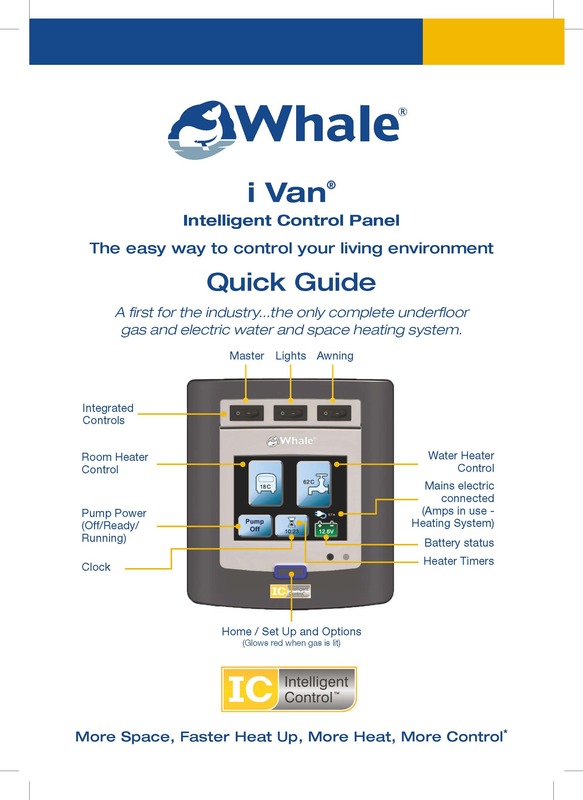 There are no currently no specifications for A NEW INNOVATION FROM WHALE - The i Van Control Panel. 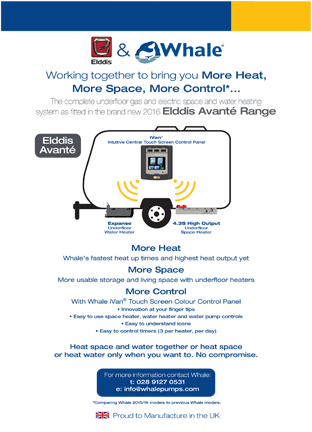 There are currently no accessories for A NEW INNOVATION FROM WHALE - The i Van Control Panel. 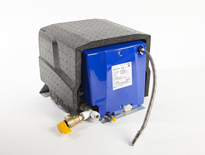 There are currently no spares for A NEW INNOVATION FROM WHALE - The i Van Control Panel.